The Time Has Come – I Hope You’ll Forgive Me for Leaving?! I never thought I’d be saying this, but it’s true…I’m leaving. I knew that this time was coming, but now it’s actually here. I know that sounds bad, but it’s really not. Some of you might remember the post I did back in 2007, the one about taking my son down south, and dropping him off at Cal Poly in San Luis Obispo. This was one the proudest yet most tear jerking moments in my life. Reading that post again took me right back to that moment, and nearly soaked and ruined my laptop. Guess I’m just an ol’ softy. 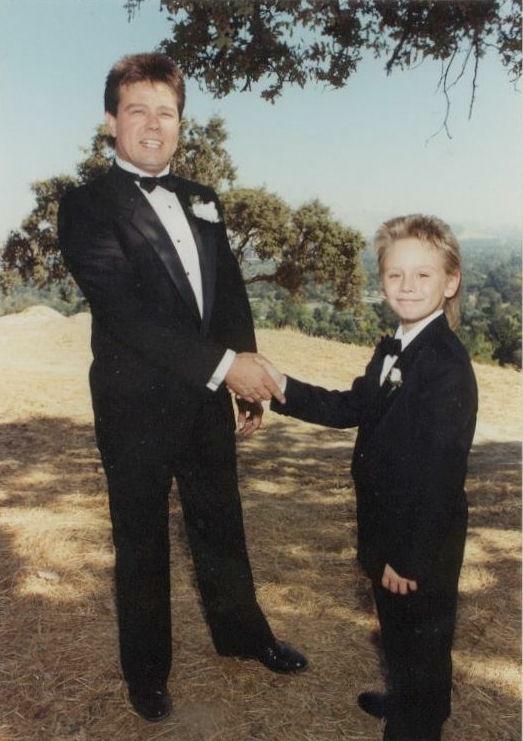 Well, my son and I made a deal back then. If he graduated from Cal Poly with a 4.0 GPA, then I would take him to play a round of golf at any course of his choice. This was our deal, so the agreement was made. Here we are, two years later, and the time has come. I can’t believe it, he has done it! UNBELIEVABLE!! Sean is getting his Bachelor of Science degree in Business Administration. He has studied his a$$ off and chased a career he’s very passionate about. He was also blessed to land the ideal job working for the company of his dreams. Which brings me to the title of this post. I am the proudest father in America right now. (…a short pause and swallow) My son deserves what was promised, and so much more. Since I’m a man of my word, it’s time to fulfill that promise. Sean has chosen a Golf Course in Hawaii to celebrate this fine “Life” achievement. 18 holes, each one representing the years of hard work and effort he has put into his education and career. I have a few other surprises up my sleeve that I know he’ll enjoy, but those are a secret for now. Will you be able to reach me? Hmm. I’m not sure how on-line and connected I’ll be during this trip. My iPhone will be with me, but I’ll probably need it for emergency calls like booking a tee time, where should we snorkel, what luau should we attend, which Island would be best for a day trip, etc. I’m sure you understand and get the picture. This is not an ActiveBrad Vacation, it’s an ActiveDAD Celebration. So if you need anything while I’m away, (10 Days) you can always contact Bob or Jeremy. You will ALL be missed terribly, but I promise I’ll be back… I hope you’ll forgive me for leaving. Aloha.